Consul General Zhao expressed his appreciation to the Committee and Mr. Spence for their important contributions to promoting Chicago's sister city relations with Shanghai and Shenyang. 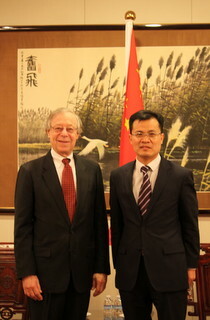 He hoped the Committee will continue to play an active role in strengthening the friendship between China and the US. Counselor Chen Guowen attended the meeting.